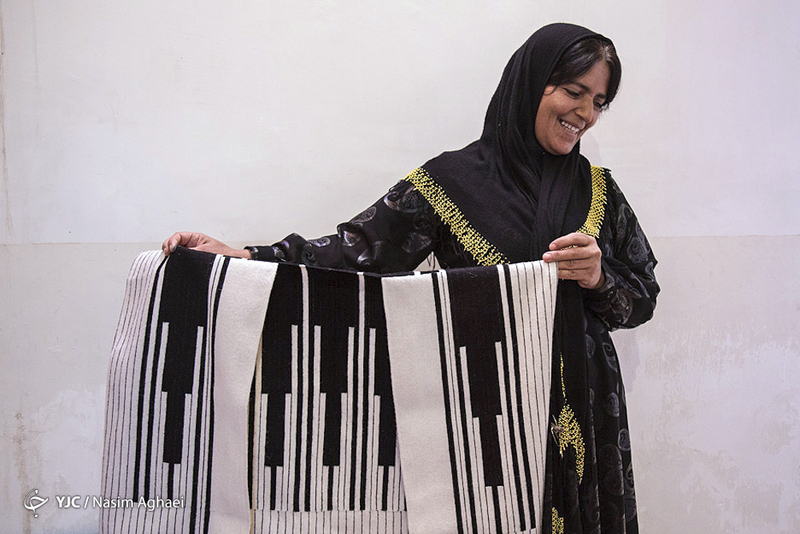 Chugha or Chukha is a sleeveless coat woven by tribal women for male nomads in southwestern Iran, particularly the Bakhtiari Lur people. 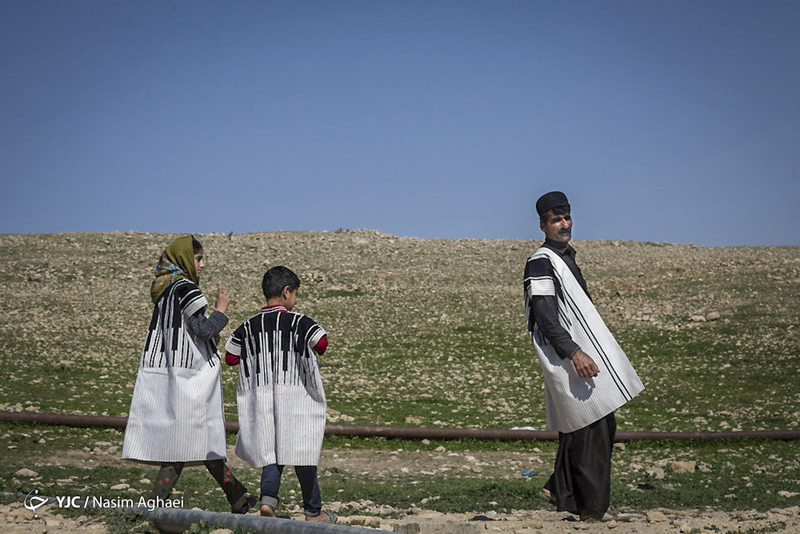 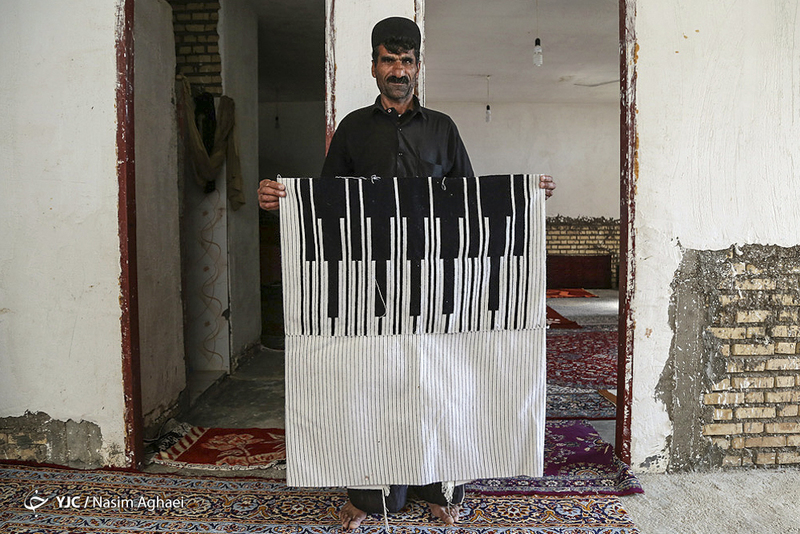 Chugha is for men and usually worn by the Bakhtiari people in various festivities. 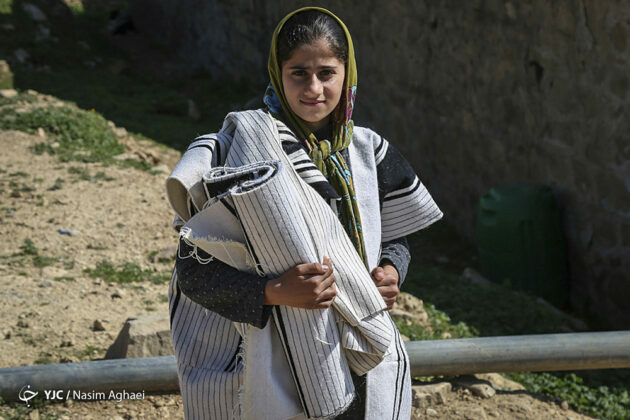 They wear shirts and warm clothes under Chugha during summer and winter respectively. The coat is much common among the nomads, and the Lurs of Lorestan province show less interests in the coat. 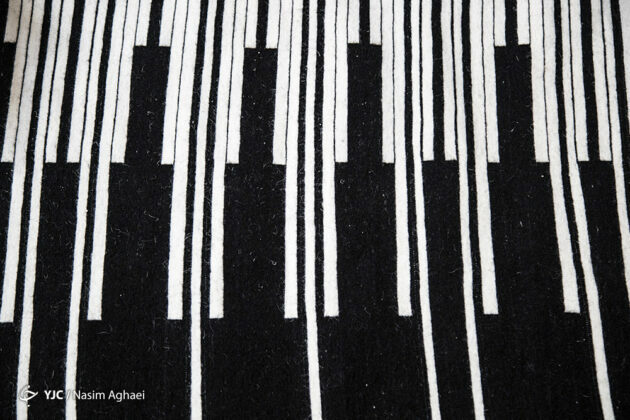 Chugha is neither completely white nor black but a two-coloured coat including both. 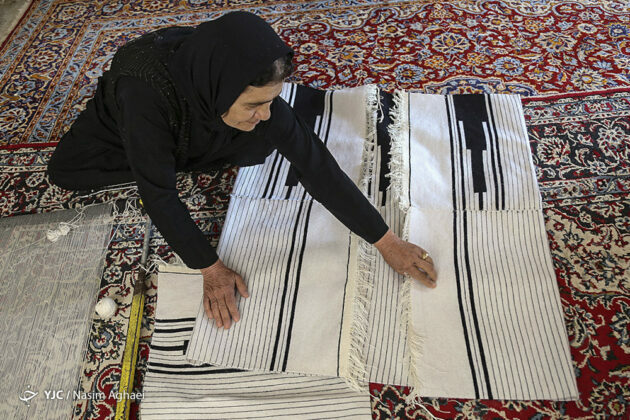 The length of Chugha should be long enough to cover the areas below the knee. The black lines cross the white lines vertically in Chugha’s texture. The short sleeves of Chugha are decorative and mainly used as pockets. 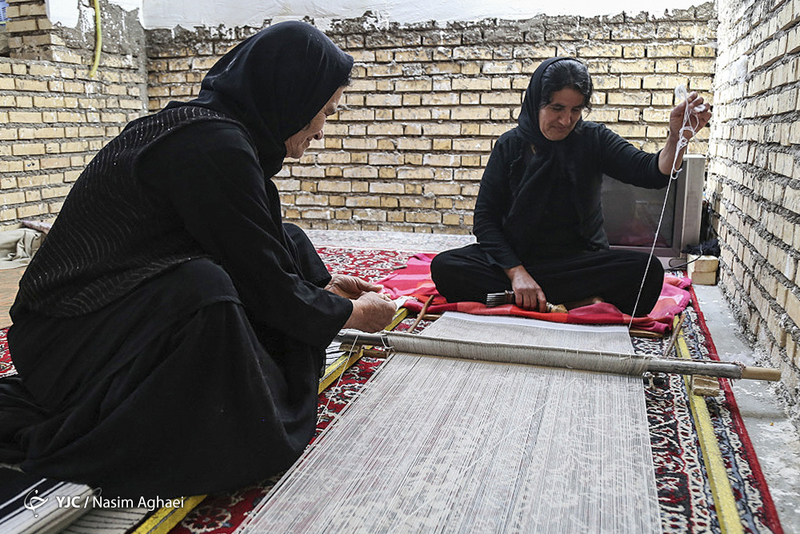 To weave the male coat, women use lying frame. 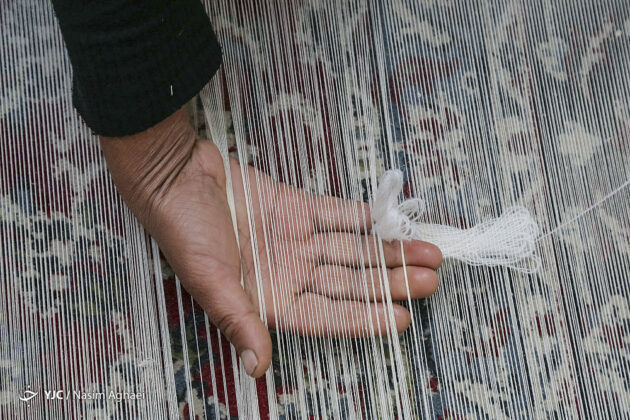 Its weaving technique is similar to that of the carpet weaving but it has very delicate textures woven with thinner threads. 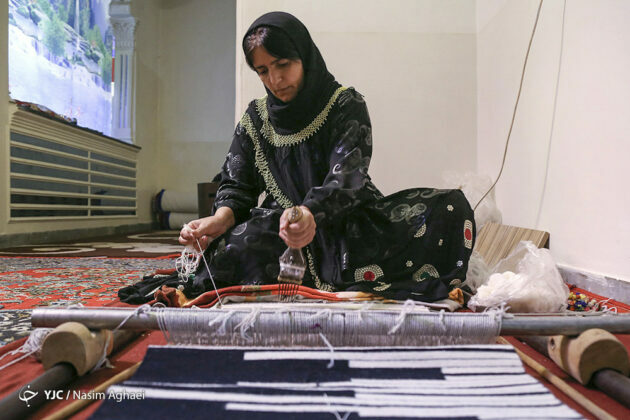 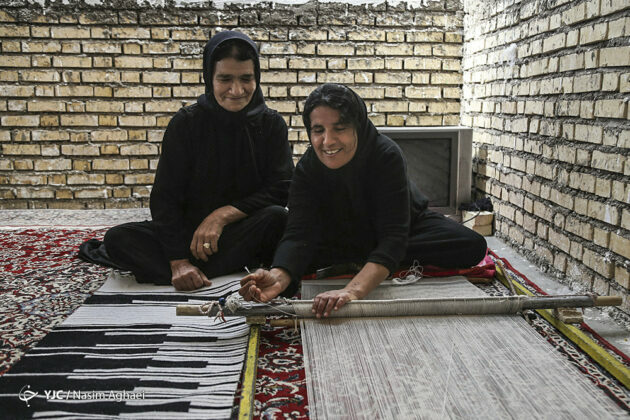 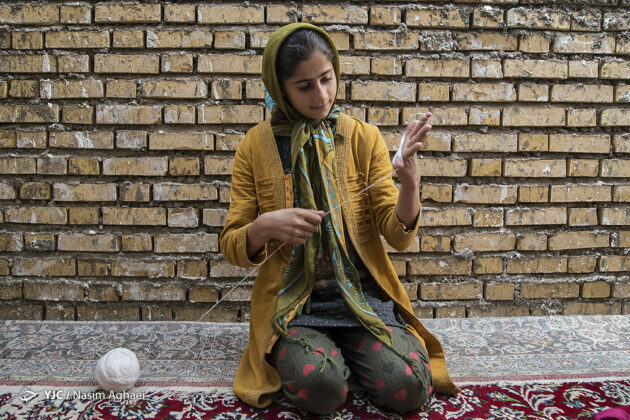 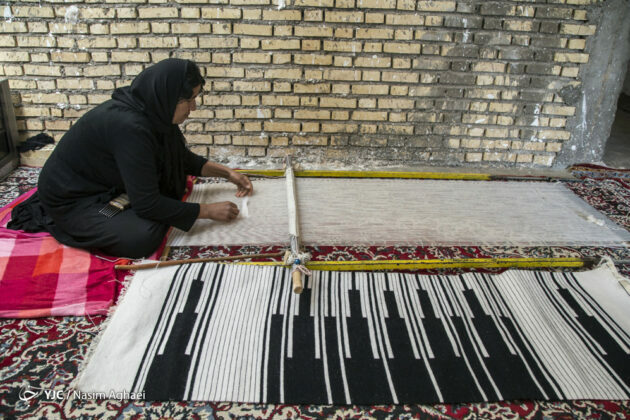 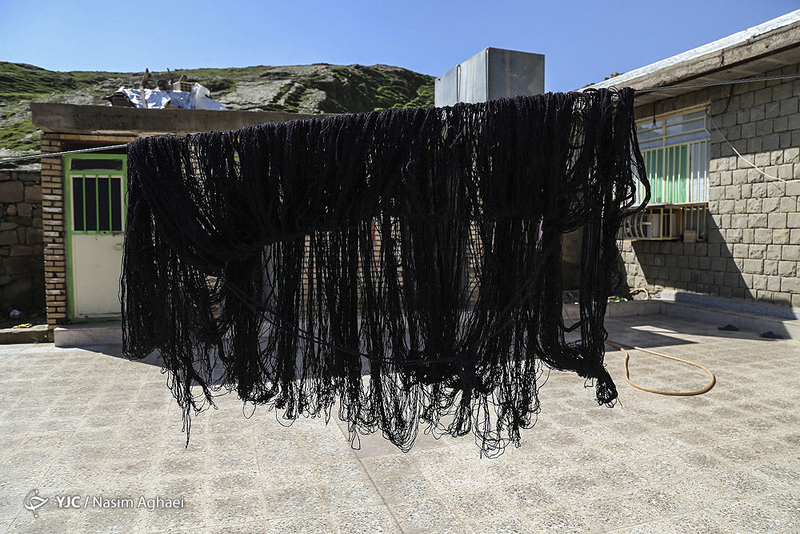 The length of the fiber used for weaving a Chugha stands at 2.5 to 3.5m and width at 50 to 70 cm. 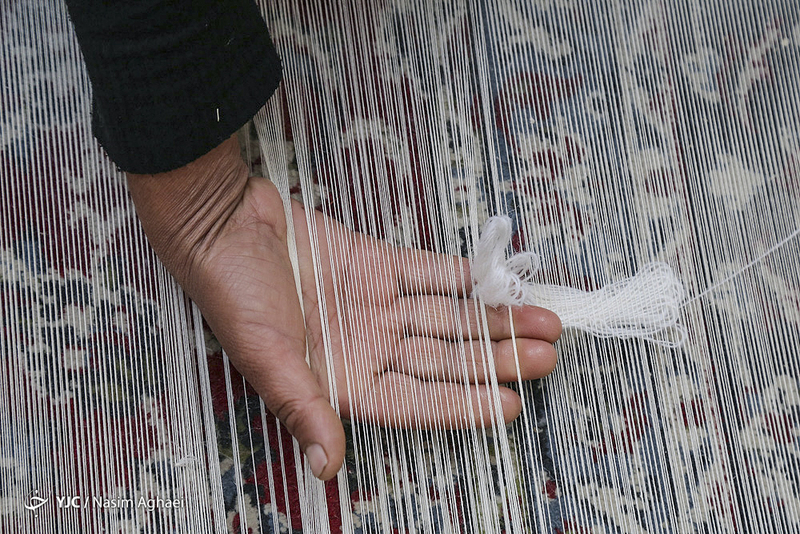 It is woven with a thread of cotton (sometimes wool). 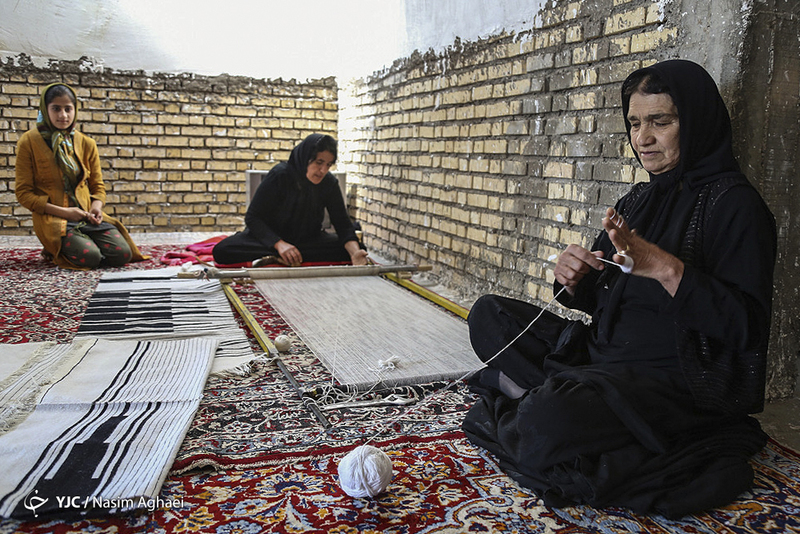 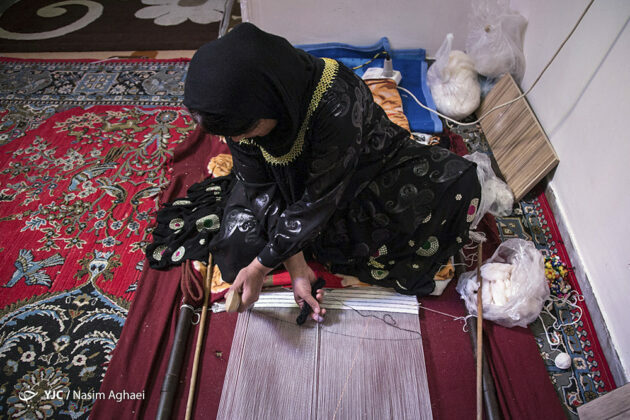 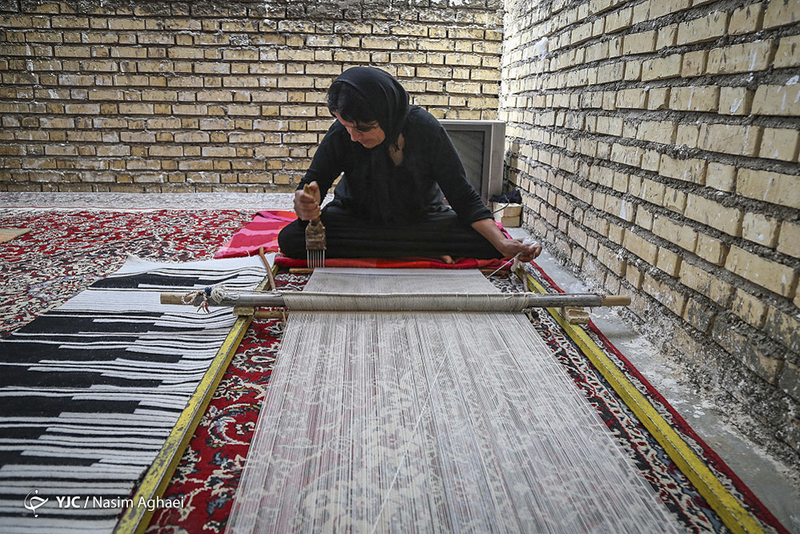 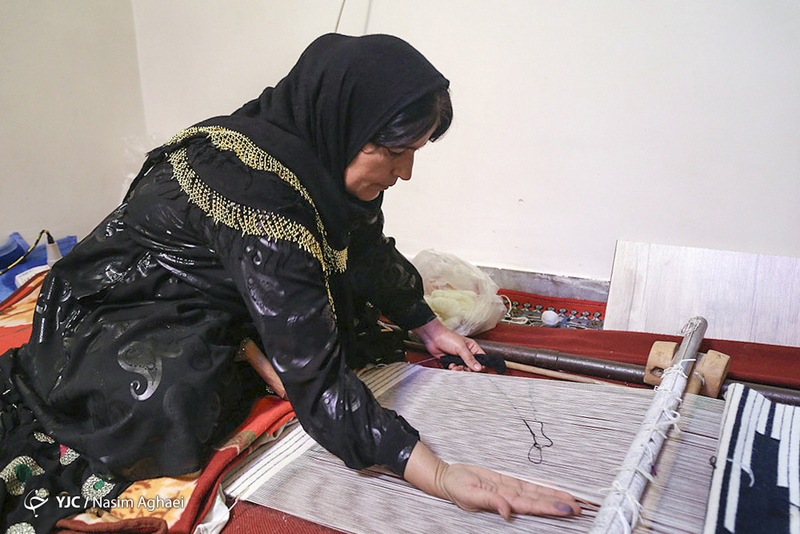 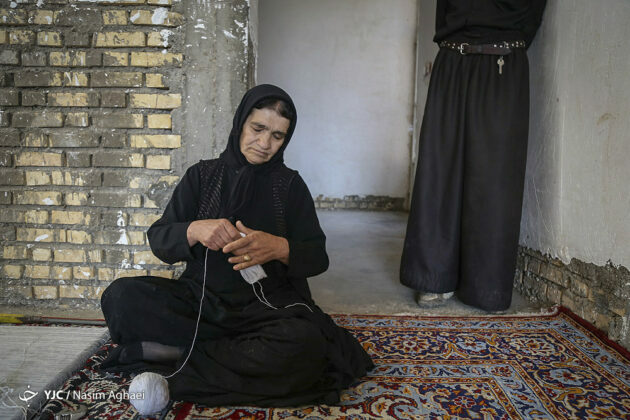 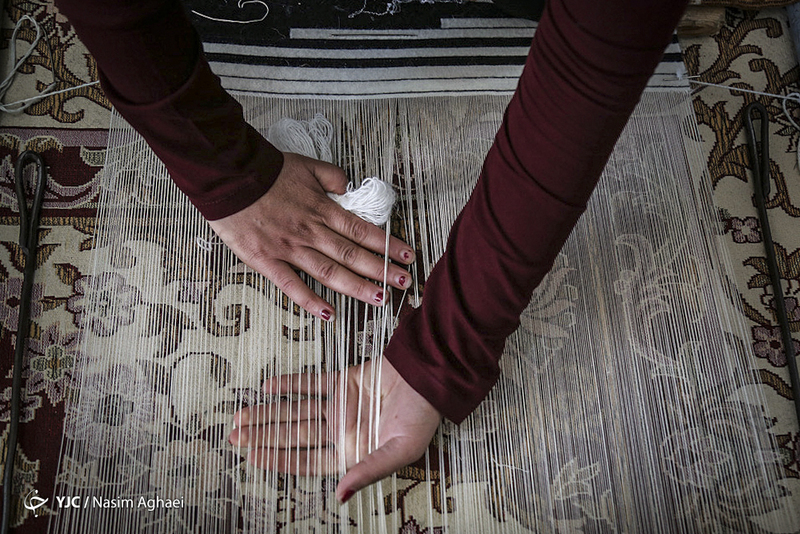 The photos below depict Chugha weaving in Andika city, north of the southern province of Khuzestan retrieved from YJC.